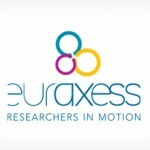 EURAXESS Ireland are hosting an afternoon information session/ workshop on September 4th. The event will be limited to around 30 private sector representatives and will showcase the services offered by EURAXESS Business. Horizon 2020 was formally launched in Ireland on December 10th, and the first calls have now opened. Until 2020, almost €80billion will be available to fund research and innovation in order to boost jobs and growth, and it is incumbent on all companies to take some time to understand the opportunities available. Tuesday 10th December 2013 sees the launch of Horizon 2020, the European Union’s new programme for research and innovation to create new growth and jobs in Europe. Hosted by Enterprise Ireland, the event will take place from 10am until 1pm in the Convention Centre, Dublin 1. Máire Geoghegan-Quinn, EU Commissioner for Research, Innovation and Science and Sean Sherlock T.D. Minister for Research & Innovation will outline the opportunities Horizon 2020 offers industry and researchers in Ireland. 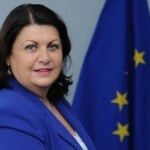 Take a few moments to see this short video message from EU Commissioner Máire Geoghegan-Quinn as she congratulates IRDG on reaching 21 years in business, and continues on to talk about the new Horizon 2020 programme.